Harford Tech Hooded sweatshirt on Holloway premium SOFT fleece. 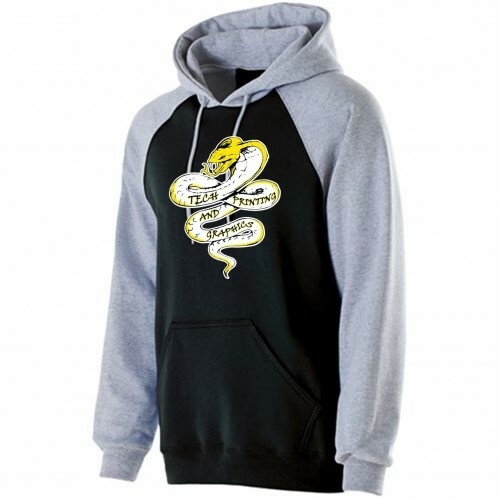 50% polyester and 50% cotton blend premium fleece athletic gray and black fleece. Youth and Adult sizes available.